Are supporters of expropriation without compensation doing their part? The Expropriation Bill, which is crucial to paving the way for land expropriation without compensation, is unlikely to be adopted before next year’s elections, despite the land question dominating electoral talk. 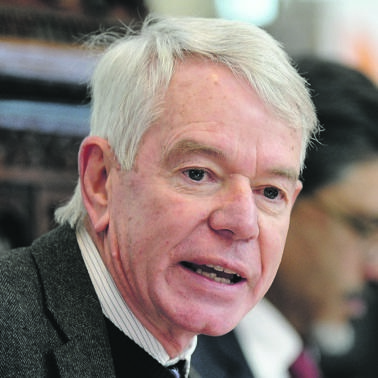 In an interview with City Press last week, Deputy Public Works Minister Jeremy Cronin, whose department has been tasked with authoring an addition to the bill, said that government was working overtime to convey the message to South Africans and investors that there was no need for panic. “It is more a political signal and, we believe, a necessary one for people who want to see the possibility of expropriation without compensation on one hand, but also to give clarity to those who are worried about it,” Cronin said. The expropriation bill that was before Parliament was withdrawn in September to allow the department of public works to make an addition that would outline the conditions under which expropriation without compensation could take place. Cronin emphasised that there would be no blanket expropriation without compensation and that, even in the instances where the conditions were met, expropriation without compensation would not be a default. The ANC has been speaking in forked tongues about the matter, with some in the party backing the blanket approach to expropriation without compensation, favoured by the Economic Freedom Fighters, which has championed the cause, while others prefer a more measured approach. The debate on the land question, as well as the lack of legislation that would inform expropriation, has caused investment jitters in the country. This week, President Cyril Ramaphosa will host the SA Investment Conference in Sandton, Johannesburg, where he will have to provide investors concerned about policy uncertainty with assurances, as well as provide clarity on the processes under way to pen the crucial legislation. “We can’t define it in detail, but it would be an indicative general law of application or guidelines. The intention is to keep our bill, but also introduce a small addition, to say it may be, not must be, just and equitable in certain cases for compensation to be no compensation. The department of public works was set to meet with legal advisers on Friday to iron out the legal wording of the addition to the bill. “In the case of expropriation in the public interest, it may be just – this is not the exact wording, but this is the direction we are proposing – and equitable for no compensation be paid in the case of land that is being held simply for speculative purposes over an extended period, and abandoned buildings where the landlord is absent and land is farmed by labour tenants without access to the title deed. “There are something like 20 000 people in KwaZulu-Natal and Mpumalanga who were your historic black farmers, and they lost their property or their rights were expropriated when white farmers took over their farms but found it convenient to use them as labour tenants. “So they gave them access to some grazing and maybe some fields for planting, typically, in exchange so that their children work six months of the year for free on the farm,” said Cronin. “In something like 20 000 families who are the affected farmers still on farms where they don’t hold the title deeds, the deeds are held by the farmer who may still hold one part of the farm or might be absent entirely.